Description: Our Apple Vinegar is crafted in a traditional and biological way. 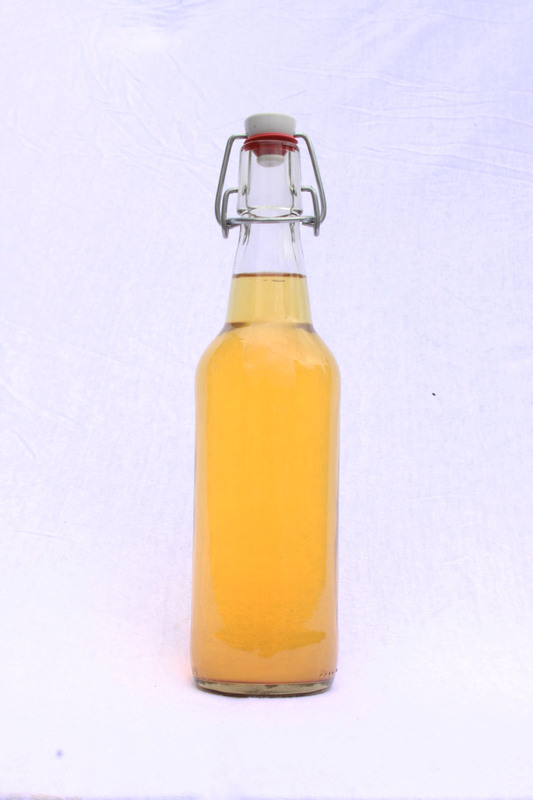 Freshly pressed apple juice is fermented and aerated into subtly sour apple vinegar. The vinegar is then stored on oak barrels until ready for bottling. The consumption of apple vinegar is associated with a positive effect on food digestion. Also, it contains many nutrients and minerals including flavonoids, calcium, phosphorus, iron, potassium, magnesium and vitamins A, B, C and E.
Colour: The vinegar may vary from yellow to golden in colour. The reason being a slight variance in the generally minimal amount of yeast that ends up in the bottle. Smell: The vinegar has a pleasant and mild sour smell of apples. Taste: This high grade apple vinegar is characterized by a fruity and mild sour taste. A natural balance between apple acid (malic acid) and acetic acid makes apple vinegar a lot more fruity and pleasant in taste compared to more common types of vinegar.